This is just heartbreaking to hear. Late on Monday evening, Katharine McPhee announced on Instagram that her father, Daniel McPhee, had died. The news comes just two weeks after she got engaged to David Foster in Italy and, from the wording in her statement, it appears this happened quite unexpectedly. McPhee's Instagram post is a photo of her and her father snuggled close and looking very happy. In addition to the photo, McPhee wrote a lengthy statement full of shock, sadness and love for her father in the wake of his death. "I can’t believe I’m even writing this… But it is with a heavy heart that I share that my sweet sweet Papa left this earth yesterday morning. We as a family are completely heartbroken and devastated," McPhee's statement begins. "He was my biggest fan, my biggest champion, always telling me to 'Give em hell kid!' He was so kind and caring and made sure we knew how much he loved us." McPhee also sent her love to her dad, her family and the friends who have supported her during this difficult time. "Not sure my heart will ever be the same," she wrote, going on to say, "I love you Papa. I already miss you so much. This hurts." No details about Daniel McPhee's cause of death we released by Katharine McPhee or any of his relatives. 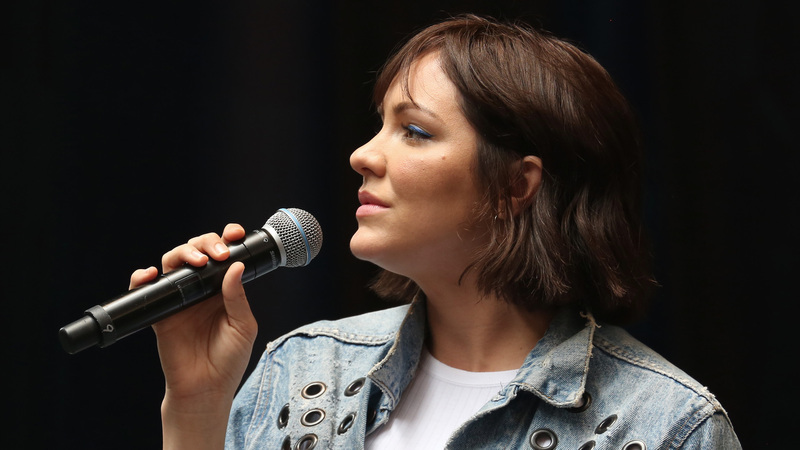 Katharine McPhee announced on July 14 — days before his death — that she would be taking a break from her role in Waitress on Broadway to fly home to Los Angeles to be with her family. Although not confirmed, we should expect McPhee's Waitress hiatus to continue a little while longer. For now, all fans can do is send their condolences during this heartbreaking time.